More than 400 students and professionals from over 40 countries competed on load, price, wind and solar forecasting. PISCATAWAY, N.J., USA, October 14, 2015 – IEEE, the world's largest professional organization advancing technology for humanity, today announced the results of the Global Energy Forecasting Competition 2014 (GEFCom2014), which was organized and supported by the IEEE Power & Energy Society (IEEE PES) and the IEEE Working Group on Energy Forecasting (WGEF). "I congratulate the three winning universities and fifteen winning teams of GEFCom2014, representing people from nine different countries. IEEE PES is very excited about all the entries received for this competition and the amazing ideas it fostered," said Dr. ML Chan, chair of the Power System Planning and Implementation Committee. "This probabilistic energy forecasting competition aimed to bringing together the state-of-the-art methodologies to best capture the uncertainties in the future and to assist the decision making processes in today’s competitive and dynamic environment. Only if we better understand the future demand and renewable generation, we can have more effective demand response programs and penetration of renewable energy." GEFCom2014 was hosted on CrowdAnalytix. The four tracks of GEFCom2014 (load, price, wind and solar) attracted more than 400 students and professionals from over 40 countries, making GEFCom2014 the largest energy forecasting competition known to date, both by the diversity of competition topics and wide geographic coverage of the participants. In addition, GEFCom2014 is the first probabilistic forecasting competition, and the first rolling energy forecasting competition that mimics the real world forecasting processes. "Two years ago, GEFCom2012 was a great success. 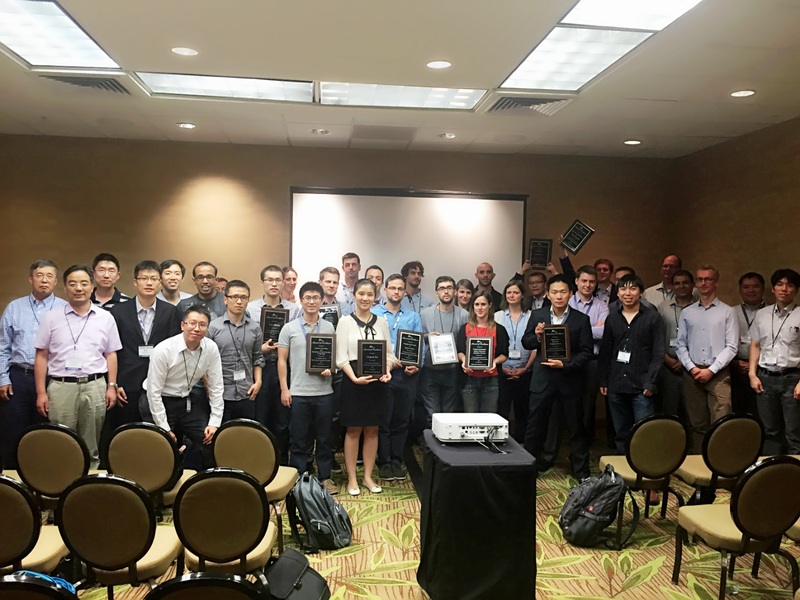 To continue supporting this crowd-sourcing approach to tackling the analytical challenges in the power industry, IEEE PES provided financial sponsorship of $25,000 to fund GEFCom2014 for platform development and cash awards." said Patrick Ryan, Executive Director of IEEE PES, "We are delighted to witness another extraordinary success brought by GEFCom2014." University of North Carolina at Charlotte, USA. Faculty advisor: Tao Hong.